The Pullo Center at Penn State York welcomes Comedian Jeff Ross to its stage on Friday, October 2, 2015, at 7:30 p.m. Ticket price is $37, and they go on sale May 1 at 10:00 a.m. Members can order now. Tickets can be purchased at The Pullo Center Box Office, charge by phone at 717-505-8900, or online at ThePulloCenter.com. 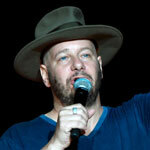 Jeff Ross is an actor, writer, director, producer, and comedian originally from Newark, New Jersey. He created and starred on "The Burn With Jeff Ross" on Comedy Central and continues to produce and star in their wildly popular celebrity roast franchise. He will next be seen on the big screen in Jeremy Garrelick’s “The Wedding Ringer” with Kevin Hart and Josh Gad as well as “Flock of Dudes” with Chris D’Elia. He also starred on ABC’s multi camera comedy pilot “Keep It Together", produced by Kevin Hart. Jeff’s writing credits include the screenplay "The Comedian" (co-written with Art Linson) and the book, "I Only Roast The Ones I Love" published by Simon & Schuster. Jeff continues to tour the world performing live as "The Roastmaster General”.